The active use of adhesives is becoming a rapidly growing trend in the industrial sector. The advantages of adhesive technology are clear: it is light, clean and above all safe. Thanks to the precise adhesive strength, individual components are bonded efficiently and with unprecedented accuracy, ensuring customers receive the best possible solutions. From adhesive manufacturing to process integration – "The Bonding Engineers" are your ideal contacts on any subject, from global specification work through individual product development to innovative adhesive designs. The adhesive experts from the Lohmann Tape Group cover the entire value chain and enable customer-focused solutions. Founded in 1851, Lohmann is one of the pioneering forces in adhesive tape technology and is now active on a global scale. The Adhesive Tape Group is headquartered in Neuwied, Germany. The company now has over 1,800 employees worldwide, 29 international sites, and exclusive sales partners in over 50 countries all around the world. We have developed representation with some of the world's leading material manufacturers to supplement the range of products on offer. The members of the Lohmann Tape Group have been certified for innumerable products. You can find an overview of our certificates here. 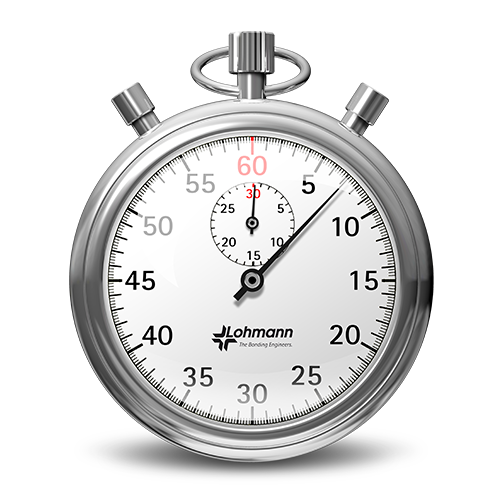 Lohmann GmbH & Co. KG looks back on a long company history full of success and innovations. As an innovative enterprise, we are continually in search of new talents to support our team. You didn't have a chance to visit our trade fair stand? You can now do this online. Please visit our virtual trade fair stands. Jan 28, 2019 Burglars don’t stand a chance Adhesive tape can give burglars a hard time. How? By being built into windows and doors. Dec 10, 2018 Lohmann: From the roof to the floor – new products for the construction industry At BAU 2019, which will take place in Munich from January 14-19, Lohmann will present their new products in Hall A1, booth 234.